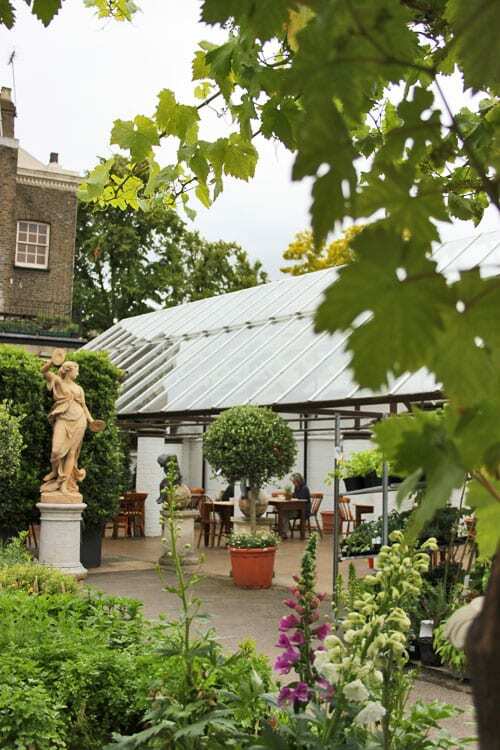 I hope you enjoyed Part 1 of ‘A summer afternoon at Clifton Nurseries in London’, which I posted yesterday. Today, I thought I’d tell you about their homewares, the services they offer and their events, plus details of the gentleman in charge. I absolutely loved the interiors shop below, which had such a chilled feeling with its mellow jazz music playing. There was a great selection of products ranging from glassware and crockery to indoor and outdoor furniture. 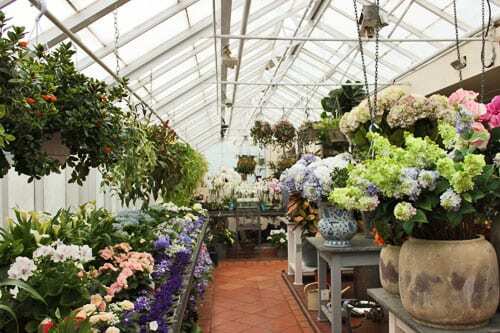 The indoor plants and faux flowers were housed in one of the Victorian greenhouses and were beautifully displayed in bands of colours, as you can see from the photo below. And it was lovely to see a flower shop there as well. Here’s an example of one of their beautiful bouquets which was just about to be picked up for delivery. 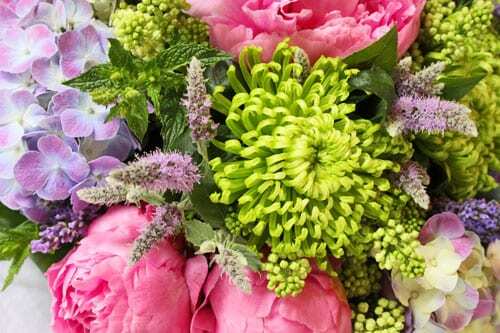 As well as selling cut flowers and bouquets, they also provide contract flower and floral home decorating services. 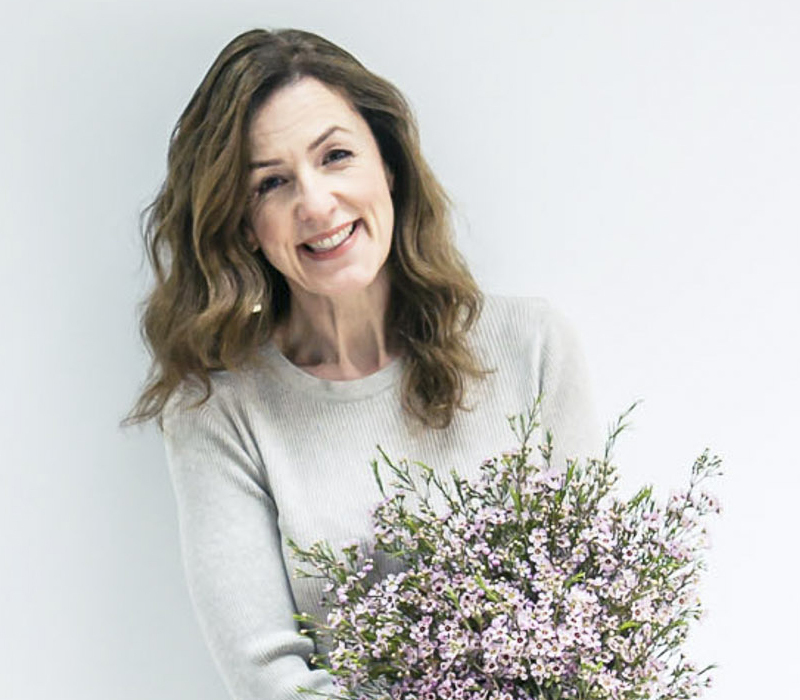 And Colette, one of the florists there, even told me that they’ve had last-minute brides-to-be rushing in to ask for bouquets for their very imminent weddings! Clifton Nurseries have won five Chelsea RHS gold medals and offer landscaping and garden design services. 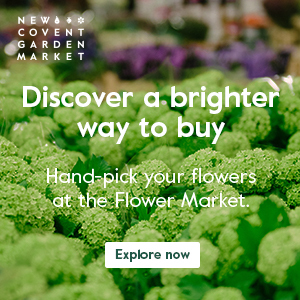 They also offer general garden maintenance and on-site lessons, plus personal shopping and a delivery service within the M25 area. Throughout the year, they run events and in August, there will be wine tasting under Clifton’s own grapevines. Simply check their website in the next couple of weeks for details. 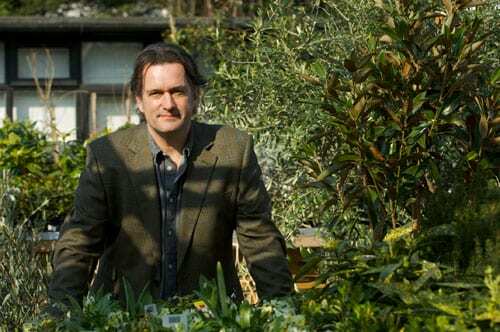 Matthew Wilson (shown below) has recently joined Clifton Nurseries as the Managing Director, leading a team of 58 staff. You may recognise his name as he was the presenter of the Channel 4 TV programme, The Landscape Man. He’s also a regular panellist on the Radio 4 show, Gardener’s Question Time, writes for newspapers and magazines, plus has published three books. 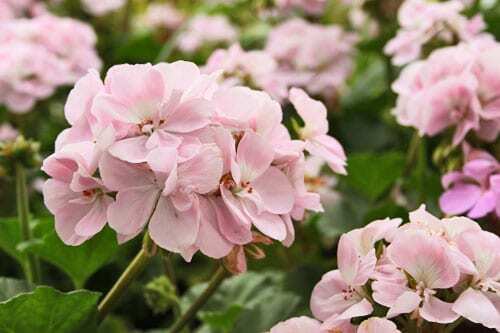 Oh, if you’re looking for a bargain, they’ve just launched ‘Friday Afternoon Sales’, where there’s a sell-off of ‘seconds’ or slightly imperfect outdoor plants between 4pm-6pm. Plus this month, they’re having an outdoor living products sale, offering discounts of up to 65% on furniture, accessories, glassware and china. 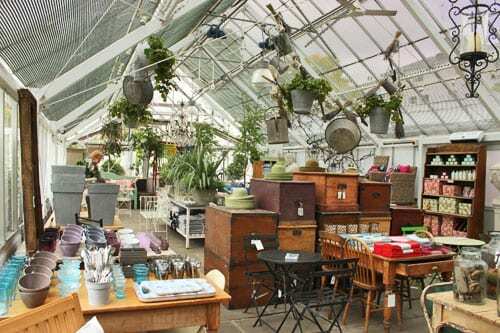 So, if you live in London or are visiting, why not pop into Clifton Nurseries? It’s only 10 minutes by tube from Oxford Circus.